Get started on improving your teaching practices today by creating your own free account. Sign up to work with us on implementing Powerful Teaching and Learning and get your entire building set up and trained! Effective school-wide practices do not come about overnight. Changing and aligning instructional behavior school-wide is a four-stage process. Instructional practices must align with what research reveals about brain-based learning. A comprehensive suite of tools to support instructional improvement. Learn how to reflect on instruction and develop pedagogical habits. The home page is a dashboard for quick access to real-time Learning Walk data, the latest classroom videos, your STAR Reports (detailing our STAR Data Collection results), and most popular documents. 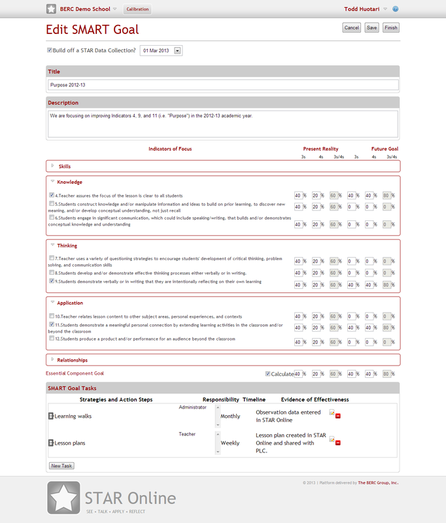 The report tool allows school and district administrators to build reports based off of real Learning Walk data that has been recorded at their school. These reports offer a detailed glimpse into a school's progress towards Powerful Teaching and Learning while protecting the privacy of teachers and administrators - no personal details are included in the reports. 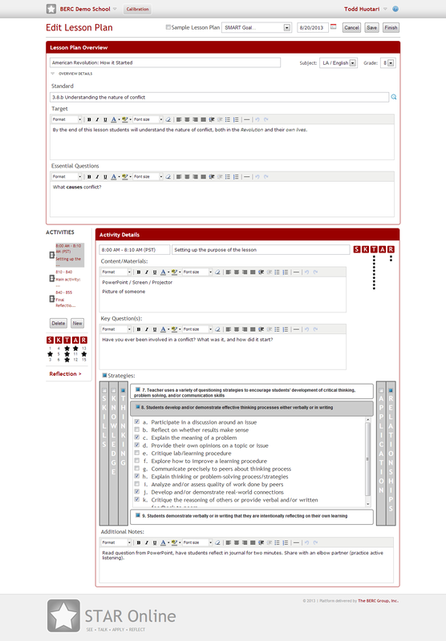 The STAR Framework is the default instructional framework available on the Framework page. 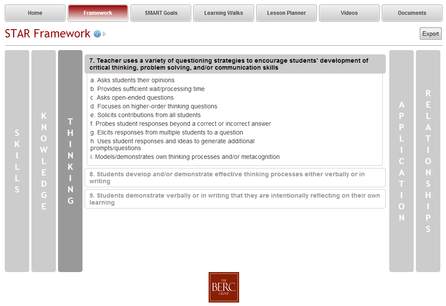 By working with The BERC Group, a district can customize their instructional framework in STAR Online to better fit their needs. Build out data-driven SMART Goals for focused improvement (based on STAR Data Collections or your own Learning Walk data) and assign areas of responsibility. District-wide SMART Goals can be created and pushed to each school to create a district focus. 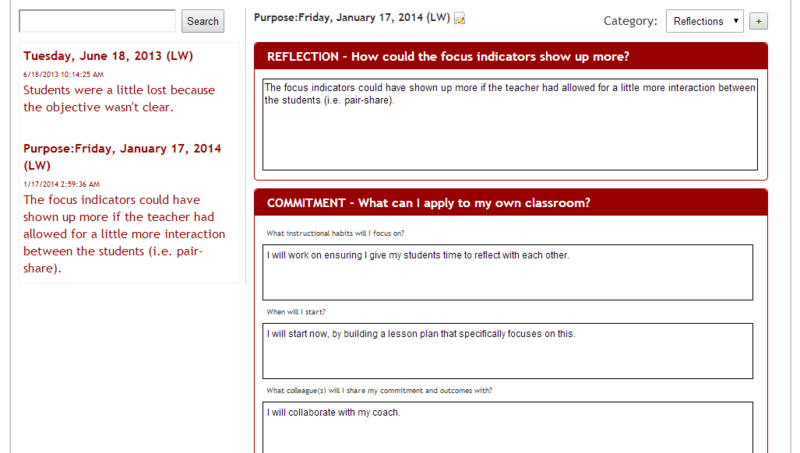 Conduct STAR Learning Walks to capture real data for reflection and continuous improvement. Take the Learning Walks module with you even without an internet connection by using Offline Mode! 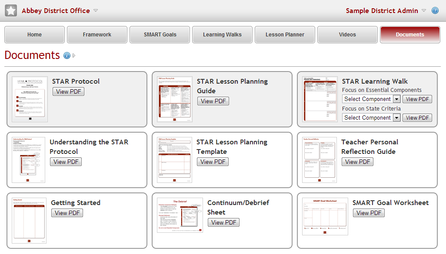 Plan lessons that integrate with your school's instructional framework by using the STAR Lesson Planner. 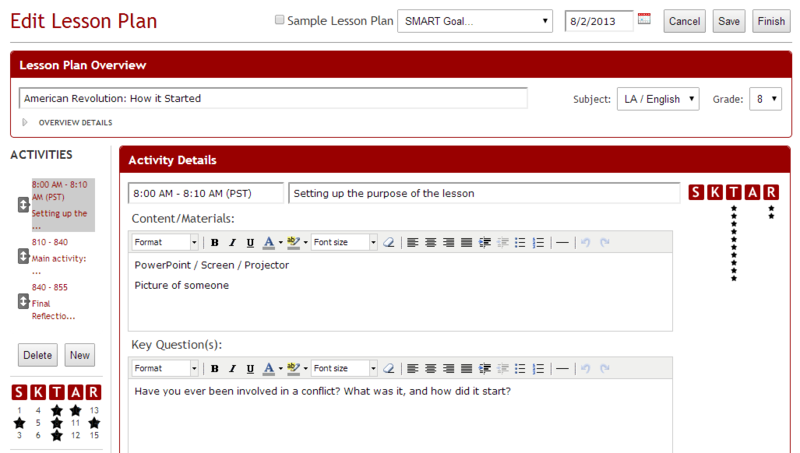 The Lesson Planner helps teachers to think about their pedagogical habits as they prepare lessons. Access the entire STAR Video library which consists of over 100 professionally-shot classroom videos. 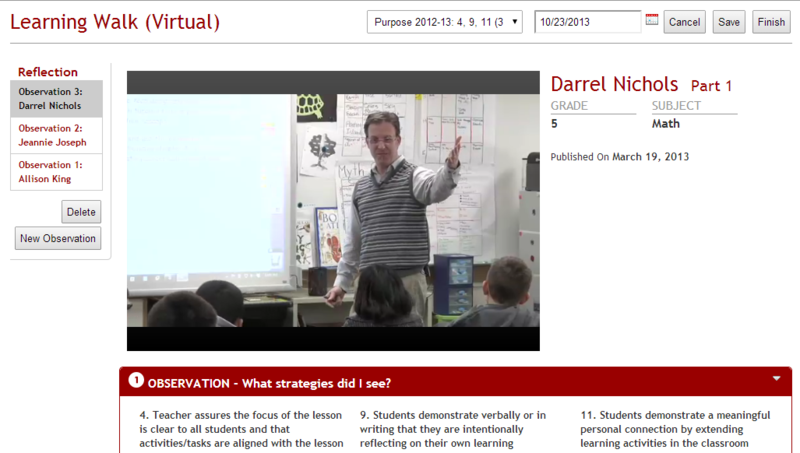 Use these videos for your own reflection, calibration, and improvement. Download our key STAR Documents for offline use. "The videos of students and teachers are powerful learning tools." "I've found it helpful in planning, assessing and bringing knowledge." Use research-based indicators of highly effective instruction for instructional reflection and planning. 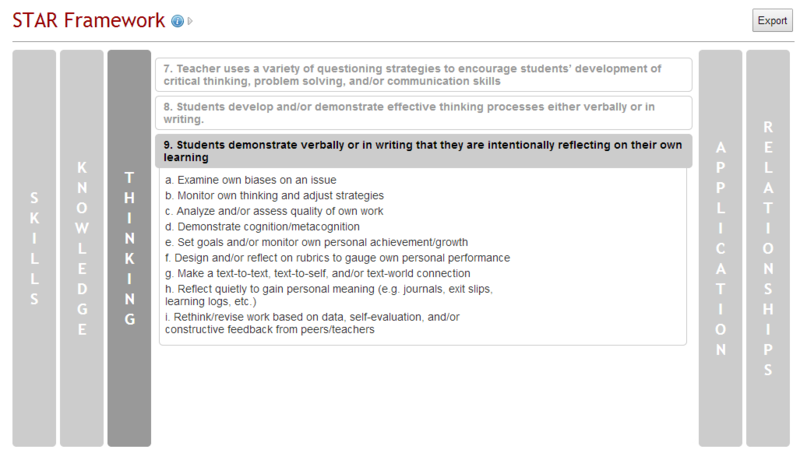 See instruction and learn to reflect on your own classroom practices, without evaluating the observed teacher. Build habits around effective instruction by intentionally planning them into your pedagogical lesson plans. Align your instructional practices with brain-based learning. Record your learning walk and lesson plan reflections in a digital journal to track your improvement and use as artifacts.